The melody is traditional, this dance tune from Älvdalen in Dalarna County of central Sweden. "Granny's Bridal Polska" is in a 3/4 meter, with most of the first two quarters in a measure as a quarter triplet (spelled here also as an eighth note sextuplet), giving the unusual lilt to the tune. Often played as a fiddle tune, sometimes a keyed fiddle called a Nyckelharpa, and often in small ensembles, it is a lively dance. And how might a bride, who one day become a grandmother, have danced to a traditional tune? 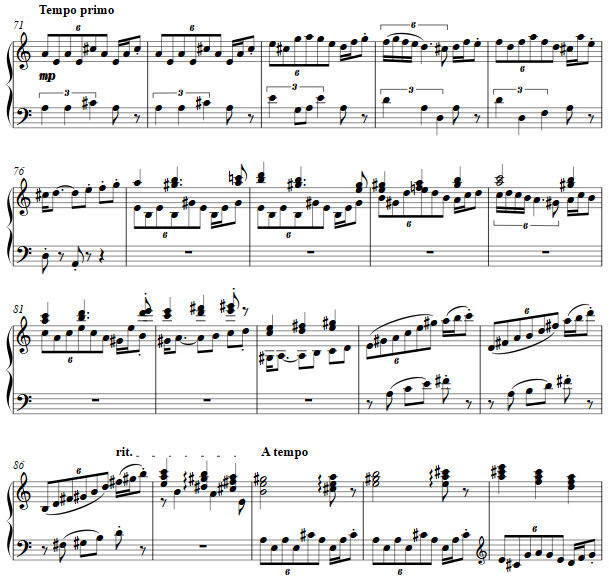 The tonality is introduced and then at measure eleven, the fiddle tune in this version is stated in its "a" sequence, with a "b" sequence coming later. 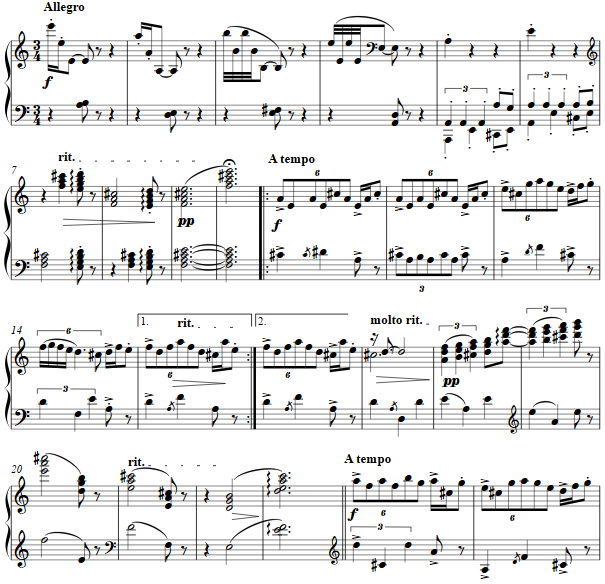 Then follows a fugue of sorts, based on the "a" phrase of the melody, with episodes still highlighting the unusual musical scansion.